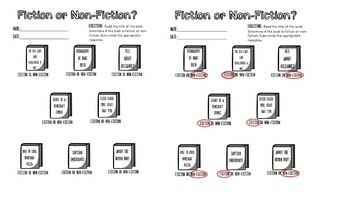 In this activity, students will read a book title, determine if the book is fiction or non-fiction, and circle their answer. There are three different versions of this activity included. This is a great activity for a quick independent practice or a spiral review worksheet. I am able to use this with my 6th-10th grade special education students, but is suited for any classroom.